Dreambox Dm500S or Dm500C Schematic drawings, Pcb images, Support etc..
Schematic drawings, Pcb images etc..
Hardware troubles and Repair support. Dreambox 500HD Schematic drawings, Pcb images, Support etc..
Dreambox 520HD Schematic drawings, Pcb images, Support etc..
Dreambox 525HD, and 525HD Combo Schematic drawings, Pcb images, Support etc..
Dreambox DM800HD Schematic drawings, Pcb images, Support etc..
DM800HD Schematic drawings, Pcb images etc..
DM800HD Hardware troubles and Repair support. Dreambox 8000HD Schematic drawings, Pcb images, Support etc..
Dreambox DM800SE Schematic drawings, Pcb images, Support etc..
Dreambox DM900 UHD Schematic drawings, Pcb images, Support etc..
Technical support for the E-STAR Dreambox DM800HD, DM800SE. Dreambox DM800HD E-star Schematic drawings, Pcb images, Support etc..
DM800HD-E Schematic drawings, Pcb images etc..
DM800HD-E Hardware troubles and Repair support. Dreambox DM800SE E-star Schematic drawings, Pcb images, Support etc..
DM800SE-E Schematic drawings, Pcb images etc..
DM800SE-E Hardware troubles and Repair support. VuPlus Duo Schematic drawings, Pcb images etc..
VuPlus Duo Hardware troubles and Repair support. VuPlus Duo2 Schematic drawings, Pcb images etc..
VuPlus Solo Schematic drawings, Pcb images etc..
VuPlus Solo Hardware troubles and Repair support. VuPlus Solo2 Schematic drawings, Pcb images etc..
VuPlus Solo2 Hardware troubles and Repair support. VuPlus Solo4k Schematic drawings, Pcb images etc..
VuPlus Uno Schematic drawings, Pcb images etc..
VuPlus Uno Hardware troubles and Repair support. General information and or support for other satellite receivers. Securitychip to VuJ Chip modification information. For clone boxes which are equipped with a security chip. Questions about the VuJ chip or support. Support for other satellite receivers. Website (downloads) links related to the satellite receivers. Looking for something, do you need a component, or anything else that is related to satellite / cable receivers try it here. Perhaps someone can help you. Do you want to sell something, as long as it is related to satellite / cabel receivers you can place it here. DM 7020 HD mainboard info? for your Dream and Vu boxes etc. Shop for Japhar sim cards etc. 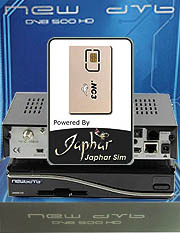 Upgrade your (old) Dreambox with the latest Japhar sim card to enjoy the latest software.